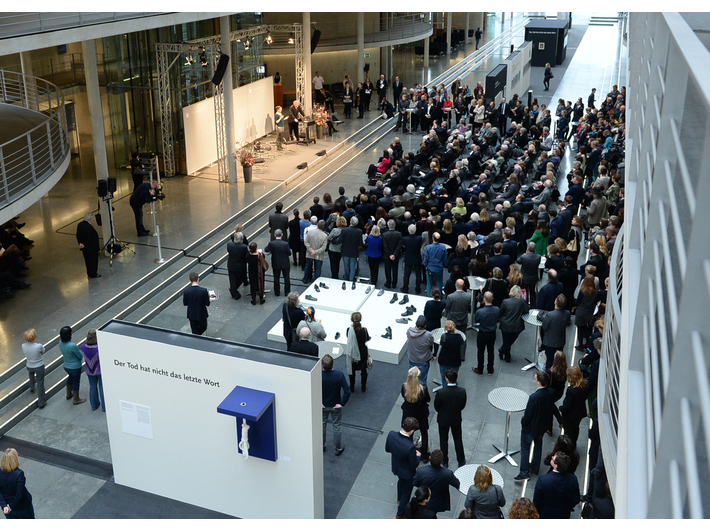 On 27 January at Bundestag the exhibition opened entitled Death Did Not Have the Last Word: No-one Is a Witness for the Witnesses, curated by Jürgen Kaumkötter. The exhibition was organised to commemorate the 70th anniversary of the liberation of obozu the Auschwitz-Birkenau concentration camp. Works created at the camp have been juxtaposed with contemporary works, highlighting the significant topicality of the issue in the historical and social debate. 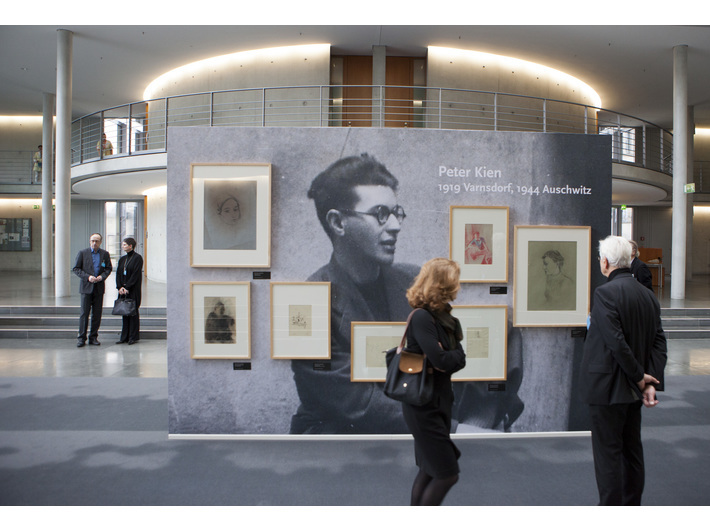 At Theresienstadt, the artist Peter Kien taught the 12-year old Yehuda Bacon to draw. The young man survived the camp and went on to become a lecturer at the Bezalel Academy of Art and Design in Jerusalem. Sigalit Landau was one of his students. The works of the three artists provide the core of the exhibition. MOCAK collaborated with Jürgen Kaumkötter in preparing the exhibition, and suggested an entirely new, contemporary version the exhibition. 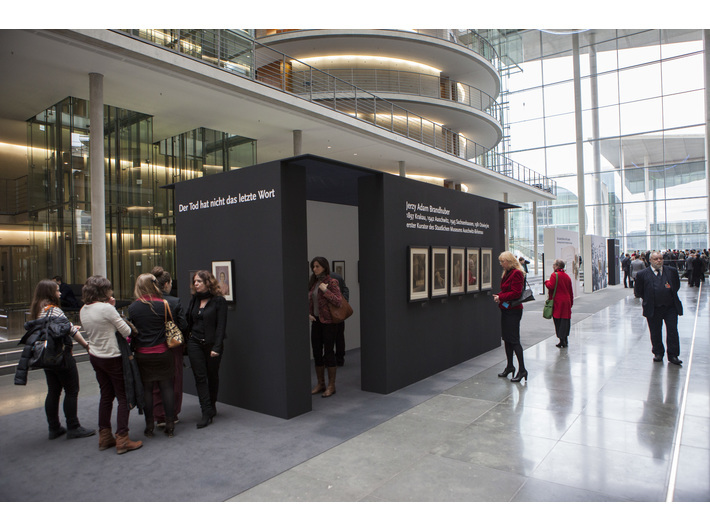 This exhibition, entitled Poland – Israel – Germany: the Auschwitz Experience will open at MOCAK on 14 May 2015. We will be presenting works of some 20 artists of the three nationalities, including Mirosław Bałka, Sigalit Landau, Marcel Odenbach and Wilhelm Sasnal. In a separate space, there will be a display of works created by the former prisoners of Auschwitz, in particular by Yehuda Bacon.